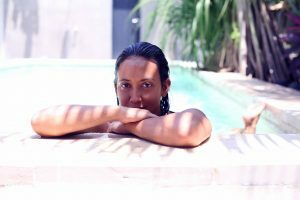 I recently returned from my third visit to Bali to stay with Yeni and Bowie and the crew at Salti Hearts.....I had the best time as I always do, which is the reason I am drawn back over and over again! Yeni has the best energy, she is so open and loving it makes you feel like you are hanging out with an old friend - we had so many silly fits of laughter about random things...as well as some deep and meaningful convos which prompted a bit of reflection and reassessment for me which was awesome. 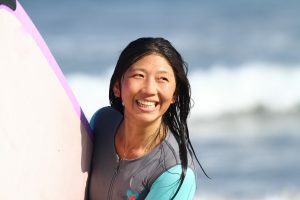 I love having the opportunity to surf with Yeni - she knows where to find the best waves to suit the conditions of the day which makes life so easy - I can just kick back and enjoy! We have loads of fun out in the water too. It is really great to have a surf coach out in the water with you to help you out and invaluable to have the photos to review after so you can see what you are doing right and wrong. I really love the post surf yoga sessions to stretch out our tired bodies too, it is the best feeling ever and awesome having Yeni instructing because she knows how my body was feeling because she had been doing the same thing. 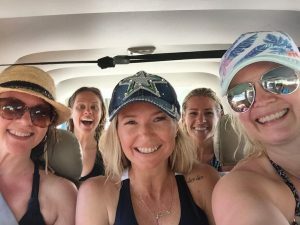 While we were busy surfing and yogaing it up we also had lots of time to rest and recover....it really is the best type of holiday for me and I couldn't recommend it more, especially for women travelling alone. Yeni and her team will make you feel right at home. I had so many firsts on this trip, I really get the opportunity to challenge myself while feeling like I am in safe hands. I will definitely be back again! As you can tell from every review, there's something special about Salti Hearts and there's something special about the lady who started it all. What Yeni has created in Bali is so unique and amazing, you literally have to experience it to know what it's all about. It is everything you could want, connection, adventure, community, COFFEE, surfing, yoga...you get the point. And the best part of all? You get to share it with a group of women led by women, just for women. It truly is the trip of a lifetime! I stayed 10 salti days and I cannot really describe how I was feeling. It was just... sooo Bagus (good) ! Yeni was taking care of us like sisters and I just loved the atmosphere. The healthy breakfast was so yummy, the surf sessions were really good! Sometimes when you have a bad surf day, Yeni try to encourage you and the next day you will have a better surf day! It's all about love, patience, awareness and of course how to breathe!! Yeni is a really lovely person, she gives you so much. You can learn a lot when you stay here. Thank you Yeni, it was a blast to stay at the salti villa! I had such an amazing experience here at Salti hearts. Yeni and Sam are absolute superwomen and words cannot do them justice. I joined the Salti hearts retreat in September 2016, due to last minute circumstances I ended up being the only person on the retreat and I was a little nervous. However after meeting Yeni and Sam, I felt so at home with these beautiful women. They're so open, kind and loving. Yeni has such wonderful vibrant energy and so easy to get along with, she shares herself so openly and pretty soon you're doing the same. Sam welcomes you with the biggest hug as if you have known each other for years. She's so cheeky and pretty soon you're all joking and sniggering at each other like you're kids again. The other staff Johannes, Wayan and Ebu are all so lovely and fun. You can clearly see they all have a great friendship and that they love being part of Salti Hearts. Yeni took us to great secluded surf spots away from the noise and crowds, she made sure that the waves were suited to your learning. She is the best surf coach I've ever had, she teaches you about surfing, the ocean and yourself. Yeni taught me to "commit to the waves" and I realized I had been so fearful of the waves for so long and that's what stopped me from catching them. After that shift in mind, I'm now catching my own greenies! We also got to do yoga at the retreat and in a few of the great studios in Bali, it was an amazing experience. I felt like I was hanging out with great soul mates, I was so relaxed and supported with beautiful feminine energy. I was so blessed because Yeni and Sam made sure I felt extra special being here on my own, they took me to tasty healthy eateries, local coffee spots, their favorite shops, amazing beauty salons and inside their wonderful world. Pretty soon I didn't feel like I was here on my own anymore. Bowie the beautiful puppy is beyond words, he has the cutest and most soothing soul. He's got your back if you need some cuddles or a guard from the local cats lolI can't wait to go back to visit and hang with Sam and Yeni at Salti hearts and highly recommend to any beautiful souls in need of a fun surf yoga and relaxing retreat! Salti Hearts is truly a sanctuary to unwind, meet new strong, likeminded woman and share the beauty of the ocean! Yeni taught me to surf 2 years ago and when I heard she had established her very own Surf & Yoga camp in beautiful Bali I knew it would embody her unique passion for surfing and wellness. I was not left disappointed! From the moment we arrived at the Salti Villa we were met with Yeni's infectious smile and enthusiasm, and this resonated through every little detail of the beautifully decorated 'home'- the perfect place to kick back and unwind from life. The breakfast each morning was fresh, healthy and delicious: a perfect start to a big day of surfing. Yeni & Ismael's knowledge of the ocean is extensive and I was able to learn how to read the different conditions to ensure a fun & safe slide every time! The small group allows for lots of 1-on-1 time so I was really able to consolidate my skills- even surfing my very first reef break. Thanks for having me again Yeni, I will certainly be back next year. 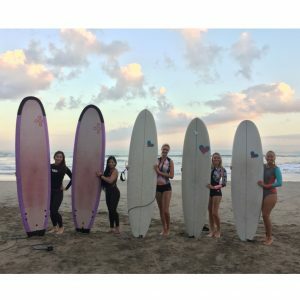 Salti Hearts is one of those places where you walk away feeling refreshed not only in your body but your mind & soul - it's not only a surfing & yoga camp for women but a place where you leave finding life long friends, self worth & an extra kick of motivation. 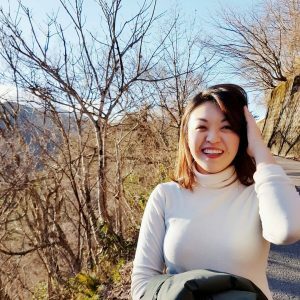 I have come away learning more about myself- accepting of myself and rewarded by challenging myself and with the kindness and help from yeni and her awesome team everything was that little bit easier. 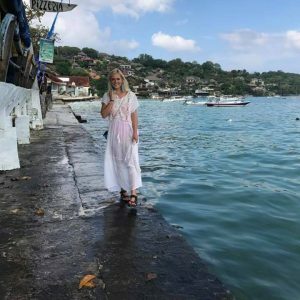 Thank you yeni for your gorgeous & giving nature - thank you for being excited and sharing with us all of your favorite places to go in Bali - your very special stories and your kindness. I will definitely be back and 100% recommend to all women of all ages. I loved my time with Yeni at Salti Hearts. 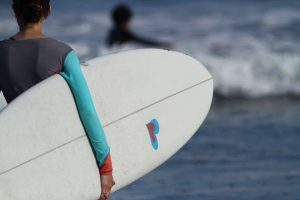 It was so nice to have a stress free week of surfing - Yeni organises everything, from your yummy breakfast to your board to the tides and surf spots. 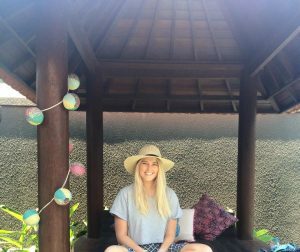 Yeni is lovely & welcoming & makes it easy to have a fun, relaxing stay in her beautiful villa, making it feel like a second home! I can't wait to go back for another retreat! Best decision ever! From the moment I arrived at the villa and greeted by the beautiful Yeni, I knew I made the right choice. Yeni and Saltihearts are the true embodiment of "Kind heart. Fierce mind. Brave spirit." The passion and love that Yeni and Ismael has for the ocean and surf is infectious. I will forever remember Ismael's face when I stand on my board. I also had the privilege of meeting 5 beautiful girls and it is truly magical when like-minded women get together to motivate and support each other. There are no walls here at Salti Heart only a safe environment for girls to learn to surf and love themselves. After spending my birthday last year with Salti Hearts I had to return again this year to see the new villa and spend some quality time with the Salti family. My boyfriend and I were staying in the Bali Bodyboard villa next door, but I kept finding myself always wanting to spend my time at the beautiful Salti villa with the adorable Bowie! The pool area is so peaceful, spacious and perfect for girls to relax and unwind (floating on the watermelon) . The early starts enable you to see the sleepy side of Bali before the day/traffic really kicks off! Yeni has an amazing eye for great surf spots and waves, she will never put you in the water if you don't feel comfortable. When she coaches safety always comes first, but most of all it feels like you are just hanging out with a friend who knows exactly what she's talking aboutThis trip I took the big step from foamy to an epoxy board and took my biggest wave yet on the last day! NO MORE FOAMIES - all thanks to Yeni and her wonderful team! After a couple of hours at some of Bali's best surf spots you are taken to one of Bali's best coffee spots for a well earned latte and something sweet! Included in the camp is a Salti signature full body massage and this is certainly signature worthy. It is a full head to toe massage by a local Balinese lady with magical hands, so much so I fell asleep!I can't forget to mention the delicious and nutritious Nalu breakfast bowls, they are a work of art and fuel you for the morning of surf ahead. Yoga is done in the evenings during sunset on the villa decking. You don't have to be a complete yogi bear, which takes the pressure off when trying to balance on one leg! If you're lucky, you might get some gorgeous (yes!) mozzie spray from the amazing Bungalow Living Cafe to keep those bites away. I could write so many more great things about the Salti camp, but I can highly recommend it to any outgoing girls looking for a trip of a lifetime! See you next time Salti team! I just got back from the 5-day surf & yoga camp and I had a wonderful time! I am so glad I chose Salti Hearts instead of the big surf schools or luxury women's camps. I was a complete beginner, but Yeni & crew made me feel totally at ease - the group size was small which means more personalised attention, and they have a very supportive style of coaching. I really enjoyed the evening yoga sessions outdoors as well, sooooo different from doing yoga in a studio, and really what I needed at the end of the day. The Salti Hearts villa was a home away from home - a beautiful, happy and comfortable place to chill. I travelled alone, but with Yeni & crew it instantly felt like I was on holiday with a group of friends. They've got such a good vibe! I came just wanting to learn a new skill, but I left with a new way of life - surf, eat healthy, and yoga for your mind & body. I can't wait to be back! Yeni was an amazing host and now friend who assisted me with my surf technique, took us to amazing spots for both surf and delicious food and a bonus is I got to meet other amazing woman who I can now call my friends from around the world! Could not recommend more ☺️ looking already for round 2!! 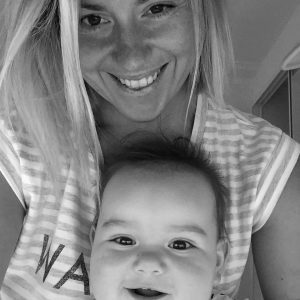 I started writing a testimonial for Salti hearts which now resembles a novel so here is the shortened version:Me: 43, single mum, 3 jobs and two kids. My why: I have always wanted to surf but never found the right place to do it until Salti Hearts appeared! What did I want: An encouraging environment that would feed not only my love for action sports but feed my undernourished soul as well. What did I get: A thoroughly professional environment mixed with the gentle love that only this team could bring you. The environment allowed all involved to be themselves and develop a bond that I will remember for a lifetime. Yeni and her incredibly inspirational and loving team thought of everything. From the beautiful arrival gifts, airport transfers, cultural trips, yoga that I have never experienced before (and I teach it), surfing trips to the best Bali has to offer, great food, coffee to die for (just ask Yeni she wont forget our crew) and most of all love and friendship. Why this rate only go up to 5 stars? Anyway there are probably not enough stars to describe the amazing experience I just had at Salti villa with Yeni, Bowie, hibou, Johannes, Lawrence and Jovi! I highly recommend this camp as you will live a full human experience with a lots of shares, love and beautiful people!. 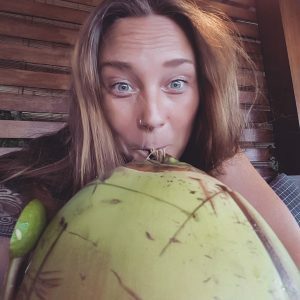 Everything was carefully thought thru to bring you in paradise where you will for one time in your life, have time to think about yourself, still enjoying a high treatment with amazing food, a quiet & beautiful villa, professional but fun surf training session and absolute immersive yoga course. What else? 1) Best schedule. The right balance between surf, yoga, relaxation, reflection, cafes, culture and conversation. The schedule flowed perfectly so you felt really really well taken care of .... but never forced or over committed. 2) personalised & authentic. Generally speaking... As surf & yoga camps take off they become more commoditised. Group sizes get bigger (with varying degrees of surf levels), more staff are employed... means more cars, more stuff... more waiting around & a less personalised experience. Yeni has kept her group sizes relatively small and intimate... her surf coaching is excellent and her team are fabulous& loyal to her. I also met so many interesting people through Yeni. salti has more of a fun surf family vibe, than a business. 3) Local knowledge. This is a big one. Surf spots in Bali can be crowded with tourits and unless you have a guide with great local knowledge, secret spots, spotters & friends all over the island to check the waves... you can end up driving around for hours. That was never the case for us with Yeni & her team. We were always where everyone else wasn't. We always had waves. Always felt like we were one step ahead. This local knowledge doesn't just stop at the surf... cafes, restaurants, shopping, massages, beauty shops... you name it. Yeni knows where to go and can help you get there. I wish her all the best with this wonderful and unique business. My experience at Salti Hearts was my first solo trip away to somewhere completely unfamiliar (was a big deal for me) and was feeling all kinds of mixed emotions leading up to it, but Yeni welcomed me, as me and for who I am, with her big Salti hug and instantly made me feel at home! Phew! I found myself waking up before my alarm looking forward to the deeeelicious and insta-worthy breakfast and the anticipation of riding the best waves Yeni & the Salti crew (who are so great btw, patient, supportive and gave helpful feedback, would take us to every morning. You know Yeni has a true passion for surfing when she celebrates every wave you catch with you with her little dance and the "woohoo" you can hear and the biggest smile you can see from miles away! 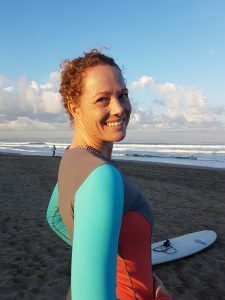 How beautiful is that her knowledge in not just the surf but the best local coffee/brunch spots and yoga only added more to the Salti experience. She just knows. And she knows everyone. And everyone knows her. And they all love her. She's just cool and Salti like that. The villa itself is gorgeous and you can tell how much love and thought she has invested in providing us a home away from home - loved the daily handwritten notes on our newly made beds each day. Thank you for sharing the amazing Salti life you live and creating a space where I could really unwind and relax and also reset myself - I needed that. My time at Salti Hearts was pure happiness. If you are looking for the ultimate what I like to call the Eat Pray Surf experience, do it the Salti way. Ps Bowie is my #1 and my only exception (thus far) to my fear of dogs. You need to meet Bowie. Salti hearts has the most amazing retreat I have ever been to. As soon as you arrive, you feel right at home in the beautiful villa. Yeni is so welcoming, it feels like you're catching up with an old friend. Because it's girls only, I was totally relaxed and comfortable and could really have fun with the others. We were taken to incredible surf spots that were to our abilities and had great instructors including Yeni out in the surf. Along with yoga in the evening, delicious food and good company I will forever have a #saltihearts and I cannot wait to come back very soon. Salti Hearts was everything I could have hoped for and more! Yeni was very accommodating from start to finish and made me feel like it really was a home away from home! Her team really know their stuff and took us to the best waves for our ability each morning. As a beginner, I was a little apprehensive about how I'd be in the water but the team were really supportive and I loved every minute, not to mention the amazing brunches that followed! I've never done a retreat before and I'm so pleased I chose this one to be my first, surf and yoga is something I really enjoyed and there still was enough time to have a little explore of the local area which was beautiful! It's going to be hard for anyone to top it, so If you're thinking of doing it, you won't be disappointed!! My mate Apanie and I recently stayed at salti hearts for a 3 day surf camp. I've been wanting to improve my surfing for quite a while now and salti hearts was recommended to us by a friend of Apanies. What a fantastic recommendation! Yeni really does provide an awesome experience. Each morning I caught the most waves I'd ever caught in my life and had so much fun out in the water. What I loved about Yeni's surf camp was feeling safe in the water, yet also being challenged. Yeni's surf camp is very much a retreat with daily surfing plus yoga, meditation, massage, a delicious breakfast and after surfing coffee and lunch stop offs. The villa is gorgeous and Yeni has thought of all the little things that make travel easy and enjoyable. 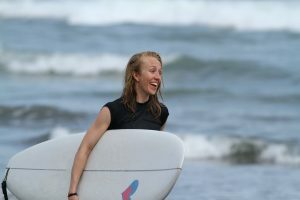 Yeni is a warm, friendly and generous person and she's created an impressive surf camp for girls. It's cool to get to meet other girls also, and I really enjoyed getting to know Anna from Russia. I hope to come back this year and in the meantime I'll work on my naughty knee and closing my legs hehe. I had such a fantastic experience with Yeni and her team! Yeni was super easy to communicate with while planning and booking the trip. Upon arrival, everything was organized and personalised. She took great care in creating a fun and loving environment. She gives you the space to make the experience whatever it is you desire- focus on surfing, focus on relaxing, focus on yourself! Everybody on the team was positive and joined in making the experience so memorable. I felt like I had a little family in Bali! I would come back again in a SALTI HEART beat! Had an amazing time staying with the amazing Yeni. Cruising around having fun surfs, hunting down the best coffee, beautiful yoga and sunsets. Salti is just totally food for the soul and a great place to spend some magical girly time. I absolutely loved everything, gorgeous villa, delicious food and most importantly the best crew. Big love and thanks to Yeni, the unicorn, Putu, Yohannes and everyone. The ultimate girls trip-from flower crowns to late night movie nights with avocado masks, it was the trip of a lifetime. Off the beach and the yoga mats, Yeni was an amazing host making sure we were fed the best local cuisine and that we were seeing the best sights of Bali (temples, monkey forests, and coffee sampling at the coffee plantations). The surf was amazing and she had a photographer out on the beach so that we had cool surfing pictures to take home with us. I highly recommend Salti Hearts-you are guaranteed to have the time of your life and to meet the most amazing group of women. THANK YOU for be with me in this AMAZING JOURNEY towards me to find myself. My heart was right when I chose gorgeus BALI and an amazing woman like you to be part of it. Live the butterflies. I finally feel that I left the cocoon and I had the most amazing trip of my life! I am happy, feeling so much joy and love for myself and I have so much hope for the future. Learning to surf taught me already so much about myself and about life. I will continue this journey and my heart is telling me that I’ll be back! Besides of all that, I want you to know what a wonderful person you are and that this is very rare and special those days. You spread love and kindness like confetti and you always watch out for your girls. There are only a few people I know who really care and feel with others. And you are definitely one of them. That is why you own a big spot in my Salti Heart now. LIFE IS FOR DEEP KISSES, STRANGE ADVENTURES, OCEAN SWIMS & RAMBLING CONVERSATIONS. But please promise me besides all the magic you create for others, to never forget yourself and treat yourself like a princess as often as you can. So Yeni, let me know when you come to Berlin, my doors are always open for you. I hope to be able to give you at least a little bit of saltilove in return. Until then, my saltimama, I wish you all the best for your future. More exciting encounters and all the power to master every challenge you will have to face. Stay as wonderful as you are. After just returning from my 6th Salti Hearts adventure I think it is pretty clear that I love Yeni and Salti Hearts!! Trip number 6 was my ultimate favorite, being in the beautiful Mentawai Islands. Dreamy waves, beautiful scenery above and below the warm aqua water…..words cannot describe how special it was for me to experience this journey with Yeni, Ernesto and the other Salti girls. I was lucky enough to attend the first ever Salti Hearts retreat, and have tried to return twice every year since. Salti Hearts isn’t just a surf and yoga retreat for me. Every single trip I have had, I have discovered something new about myself. Being in the water and practicing yoga every day gives me the space to reflect on my life at home as a busy executive and how I can incorporate balance in my daily life. I truly believe that after 3 years and 6 trips with Yeni on the Island of the Gods that I have become a much more mindful person that has made many changes that have made me happier and healthier and grateful for every day. I don’t think I would have been able to achieve this without Yeni’s love, guidance and support. I have watched Yeni over the years with countless girls, spending time, listening to our stories, providing us with an emotionally safe place to be your true self, to open up and share and empower each other as well as improving our surfing and our yoga practices. I always love being in the water with Yeni – the waves are always appropriate to our skill levels, she knows exactly where to position us in the line-up and we always have lots of laughs and happy times. There is something very special about being in the water with a group of girls being so supportive and cheering each other on. 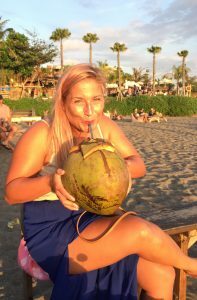 I cannot recommend Salti Hearts more highly to a solo traveller or a group of girlfriends – the villa is gorgeous, the surf is great and Yeni’s yoga teaching is beautiful…. And don’t worry about your surfing or yoga experience, Salti Hearts accommodates all skill levels. I am sure that like me, after this experience you will take Bali and Yeni and home with you in your heart.